When is the best time to visit Cracow? It's a difficult question. The charms of Spring and Summer need little introduction, whilst Autumn, when the Planty gardens are awash with reds and golds, is not without its joys either. Then of course there's big bad Winter. But is it really that bad? The thought of temperatures in excess of -10 may not sound like an enticing prospect, yet for many, Cracow is at its most beautiful under a blanket of snow. The Christmas festivities offer plenty of diversions too. So perhaps we should be asking when not to come? Many moan about November - the leaves have fallen, the skies are grey... and yet the All Souls Holiday is amongst the most enchanting traditions of the year. Similarly, jazz fans may well be inspired by November's Zaduszki Festival - the oldest of its kind in Europe. The other thing about that time of year is that you won't be swamped by crowds - so it's not as simple as all that after all. But enough umming and ahhing - here is a line-up of what's on offer throughout the year. With a bit of luck you'll spot something that'll make you dance round the room shouting Eureka, and maybe next time you can sample a different season - Cracow is dangerously addictive. The New Year starts with a bang in Cracow. Fireworks light up the sky and rock bands rule the Rynek. Later on, those who aren't nursing hangovers can enjoy the classical concert at the Philharmonic. Not the liveliest month of the year. The two stalwarts are the bizarre International Shanty Festival (something for Lynch fans) and Fat Thursday. The latter is an excuse to quaff as many doughnuts as possible. Glorious. A couple of classical favourites can be savoured this month - the Bach Festival and the Organ Festival. Cracow's churches provide that extra dash of magic. Easter itself offers all kinds of attractions. And Holy Week has had its own classical festival - Misteria Pashalia - with ensembles from all round the world descending on Cracow. The Paka Cabaret review may appeal most to Polish speakers. But travellers can also expect plenty of one-offs around town. Art lovers should look out for exhibitions at the National. The city gets into its stride this month, not least with the Cracow Marathon. The Cracow International Film Festival is a longstanding feature, joined by a newcomer, The Cracow Month of Photography. Both are hot (and inexpensive) tickets. And for music lovers, there is the Encounters with Orthodox Church Music Festival. The big one is the International Festival of Jewish Culture. This is backed up by Cracow's City Festival, which sees all kinds of antics. Late June is marked by the ancient Wianki (Floating of the Wreaths) custom, nowadays backed up by a major concert on the River Vistula. Finally, there's the International Festival of Military Bands for some oompa action. 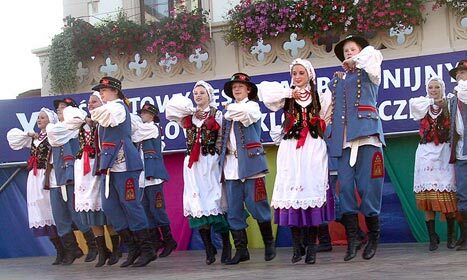 An August highlight is the Music in Old Cracow Festival, which draws classical acts from foreign shores. Staying on the musical tip, Cracow's Academy of Music organises its own shindig. Finally there's the festival of Court Dance. The Sacrum-Profanum Music Festival offers more musical delights. This is backed up by another classical number, the International Competition of Modern Chamber Music. And of course, the legendary Dachshund Parade brings a welcome dose of silliness. The International Festival of Early Music is a regular this month. Lovers of literature might check out the Krakow Book Fair. The last flickers of Autumn are taken to magical heights by the All Saints and All Souls Vigils (November 1st and 2nd). The Zaduszki Jazz Festival lightens the melancholic tone. November 29th is the Polish celebration of Andrzejki, when you can read your future in wax. The Christmas Market starts promptly (stalls are usually up by the end of November). And on the first Thursday of the month, the time-honoured Christmas Crib competition begins. This is complimented by a range of yuletide customs. Lately, the Opera Viva Festival has also been a December feature. Which is the best time to come to Krakow? Thanx! You have failed to include the wonderful Dragon Festival in Krakow in June!